Currently in use in two federally-qualified community health centers in Philadelphia. 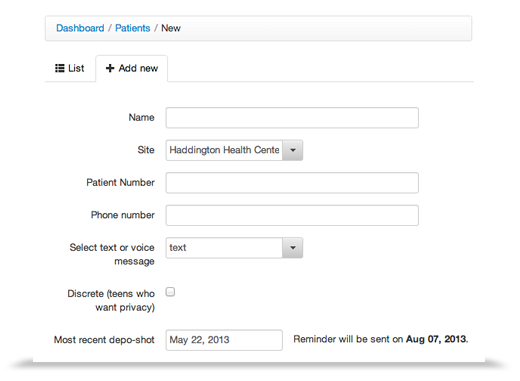 Automated system for reminders and other routine communication with patients. 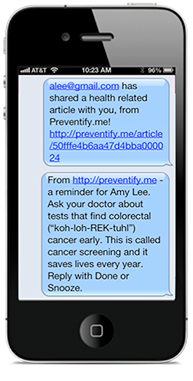 Uses SMS text messages and phone calls (IVR, interactive voice response) — under 5 cents per conversation. Patients need only a cell phone, not a smartphone or other Internet connection. Messages can be tailored to the individuals: their values, beliefs, obstacles, etc.